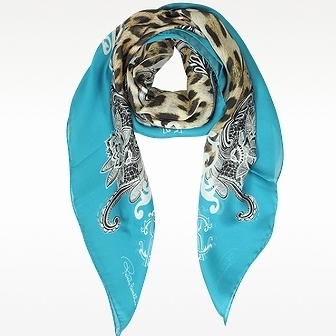 Blue Ornamental & Leopard Animal Print Silk Square Scarf emboldens your look with a pop of color and pow of wild elegance. Featuring colored border framing a leopard and signature logo print center. Finished edges. Made in Italy.